Our thoughts and prayers are with her Family and Friends at this time. 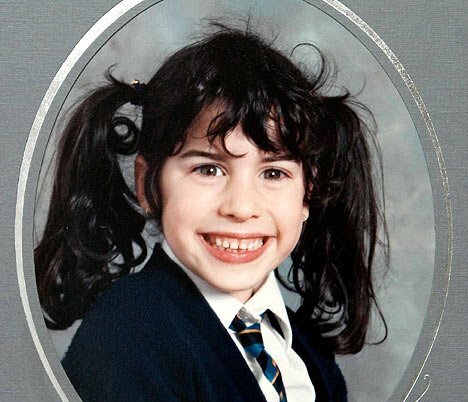 Amy Jade Winehouse was born on 14 September 1983 (A Virgo 80’s Baby) in the well-to-do area of Southgate, north London. Her taxi driver father, Mitchell, was a jazz enthusiast and often sang songs to his daughter as she grew up. She trained at the Susi Earnshaw Theatre School from the age of eight and, by the time she was 10, had formed a rap group with one of her best friends. Winehouse later attended the prestigious Sylvia Young Theatre School. She began writing music at the age of 14 and a former boyfriend sent a tape of her singing with a jazz band to an A&R man. Scotland Yard said it is waiting for the results of toxicology tests after an autopsy failed to establish a formal cause of death. An inquest has been opened but no cause of death given. Coroner’s officer Sharon Duff described the circumstances around Amy’s death as “non-suspicious”. The coroner has adjourned the inquest until October 26. Music producer Mark Ronson and TV star Kelly Osbourne were among the famous faces at the 45-minute service, held at Edgwarebury Cemetery in Edgware. Osbourne and others were seen wearing their hair in Winehouse’s trademark beehive style. Friends and family have now gone to a cremation and family gathering at a synagogue in Golders Green. According to a family spokesman, Mr Winehouse “told some great stories from childhood about how headstrong she was”. Osbourne and others wore their hair in Winehouse’s trademark beehive style Photographers and reporters lined the road as guests arrived for the service, which began at about 1230. Mr Ezekiel said the service had been “joyful” and “very moving” and had “celebrated” the 27-year-old singer’s life. Fans have travelled to the crematorium in Golders Green, also in north London, to pay their respects. Her friend Jay, 20, also from Watford, added: “She had style, she was so individual. Tributes continue to be paid to the award-winning singer, whose body was found on Saturday at her home in Camden, north London. Winehouse’s god-daughter Dionne Bromfield, who was signed to the singer’s record label, said she “felt like a part of my soul has departed with the beautiful song bird Amy”. Mitch Winehouse (centre) read a eulogy at the 45-minute service Winehouse joined the 15-year-old on stage last week during a gig at the Roundhouse in Camden and encouraged the audience to buy Bromfield’s album. Singer George Michael wrote on Twitter that the late star “the most soulful vocalist this country has ever seen”. In a posting on her website, Adele said Winehouse had “paved the way for artists like me and made people excited about British music again”. An inquest into Winehouse’s death was opened and adjourned until 26 October at London’s St Pancras Coroner’s Court on Monday. 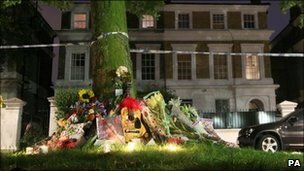 During the two-minute hearing, an official read out the name, birth date and address of Winehouse, described as “a divorced lady living at Camden Square NW1”. “She was a singer-songwriter at the time of her death and was identified by her family here at St Pancras this morning,” said coroner’s officer Sharon Duff. But it was 2006’s Back to Black which brought her worldwide stardom, winning five Grammy Awards.